We understand that many potential clients have long-standing relationships with certain manufacturers that they want to maintain. We want you to wear the clothes we produce, but if that is not an option, then we also want you to wear our bold and dynamic designs! There are no design fees for orders that are placed with us. 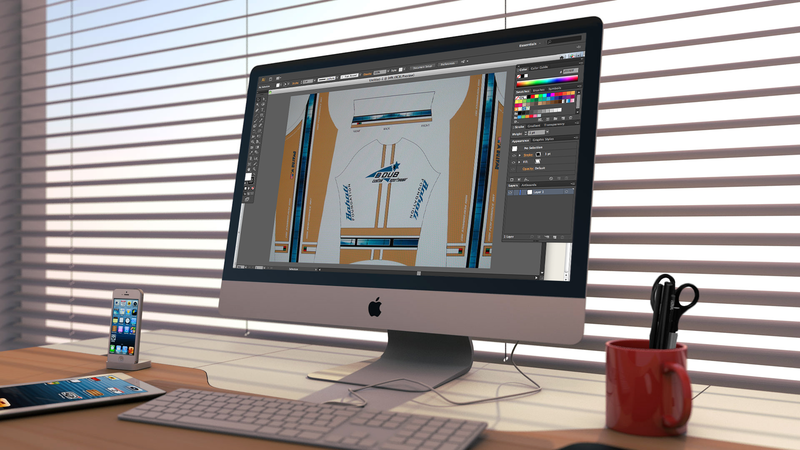 When it comes to kit designs, often someone is either elected or volunteers to design the kit. If they don't already know how to use the basic tools associated with graphic design applications, their approach may be to go on Youtube to watch tutorials in hopes of figuring out the applications functionality. They may very well grasp the basics of the application tools through trial and error. In 99.9% of the cases, limited artistic and technological skills, the result will be a simple and less than awe-inspiring design. Knowing how to use a graphic design application does not make one a talented artist nor does it mean that the talent level is sufficient enough to design for a 3D surface. Their approach to design is to observe what the current kit design trend is, copy it, then change the colors and logos. The reaction from the viewer normally run alone these lines; "oh that looks nice, it kinda reminds me of the (insert the name of any Pro or local amateur team/shop kit)". The result will always look like what it really is; a knock off, a copy. This popular approach results in the democratization of kit design; which does nothing more than create widespread design mediocrity. An Artist is born with an innate, high level talent. Creating art for an artist is not an exercise born out of necessity; creating art is synonymous with who they are, it defines them. True artists create what they create best; timeless high-level art. By commissioning us to create a design for you, you will receive an awesome design that you can be proud of, draw the attention of the viewer, and that others will be envious of. Submit your logos, artwork files and design notes. Don’t have any art to send to us, just a general idea of the colors, design elements? No problem. D Dub Custom Sportswear’s designers will work with you to evolve your design ideas into a unique artistic expression. D Dub Custom Sportswear offers our design service to you for a flat fee. We require a $100 non-refundable art deposit to start designing. The deposit will be deducted from your order balance should you go through with the entire ordering process. You can submit your artwork deposit through our online store. You will be presented with 2 unique, or variations of the design concept. The two concepts will be used as a starting point in the design evolution process. We will require your logos in the appropriate format (a service fee will be applied to create new logos or re-create logos not received in the proper format, see Logo Service for fees). As a general rule, we can deliver a design concept in 5-7 days after the deposit has been received. We submit your artwork to your preferred manufacturer for integration into their design patterns. We will work with them to make sure the results are up to your standards and ours. * “Designed by D Dub Custom Sportswear” logo is required on the middle pocket of all tops. When you think of a famous brand, the first thing that comes to mind is its logo. The logo is the most essential component of any brand and also the most difficult to create. A logo must be aesthetically pleasing, and a reflection of your company, team, or organization’s credibility. An amateurish logo design can more than likely make your kit design fail for a number of reasons. We can provide you with a unique logo that will be complimentary to, not distracting from, the overall design presentation of your kit. D Dub Custom Sportswear logo design service requires a flat fee. A $50 non-refundable deposit is required to be the logo design process. You can submit your logo artwork deposit through our online store. You will be presented with 3 unique logo concepts. As a general rule, we can deliver a logo concept in 4-5 days after the deposit has been received. D Dub Custom Sportswear offers top-notch embroidery service to ensure that your apparel can be professional in appearance; exactly what you need for any marketing strategy, event, or organization. Custom apparel embroidery is just what you want to enhance your image and brand. Embroidery is the most durable option available and won’t wear off. We use only sun-resistant Polyester thread for all of our deliverables. You can be assured that your garments will receive personal attention from our dedicated staff. Your embroidered logo will ensure you get noticed at your next event. Just provide us with your garments and your logo and we’ll do the rest. We stock the popular, one size fits all Flex-Fit baseball caps in a variety of colors (a per unit fee is required). We require a $50 non-refundable deposit to start the ordering process. The deposit will be deducted from your order balance should you go through the entire ordering process. D Dub Custom Sportswear embroidery service requires a one-time logo art set-up fee (depends on the complexity of your logo). There is a per-garment service fee for the application of the embroidery. Depending on the size and complexity of the order, we can deliver the embroidered garments in 1-3 weeks after the deposit has been received. 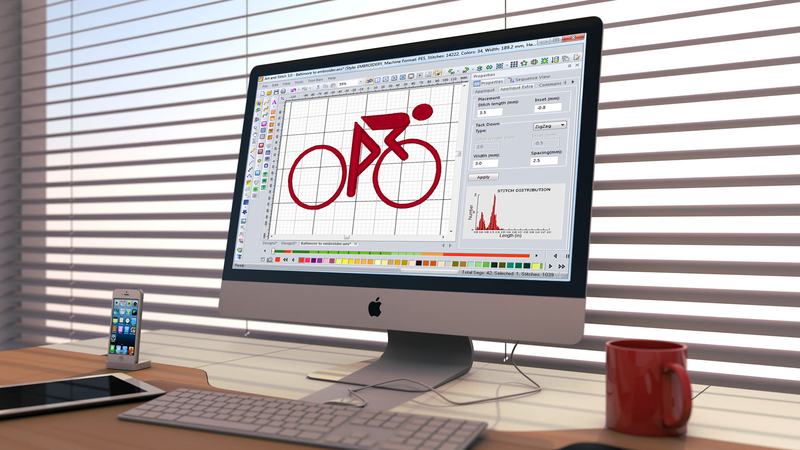 Our company’s services includes digitizing and set-up of your logo. This is a great benefit to our customers and allows us to edit a design quickly and efficiently when necessary. We can provide you with a “spin out”; your logo embroidered on fabric for accuracy inspection. It is important to have your approval before we begin the process of embroidering the items in your order.